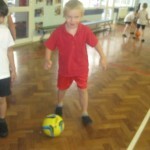 Today in PE we were practising our skills with a football. We played a game of red, yellow and green. 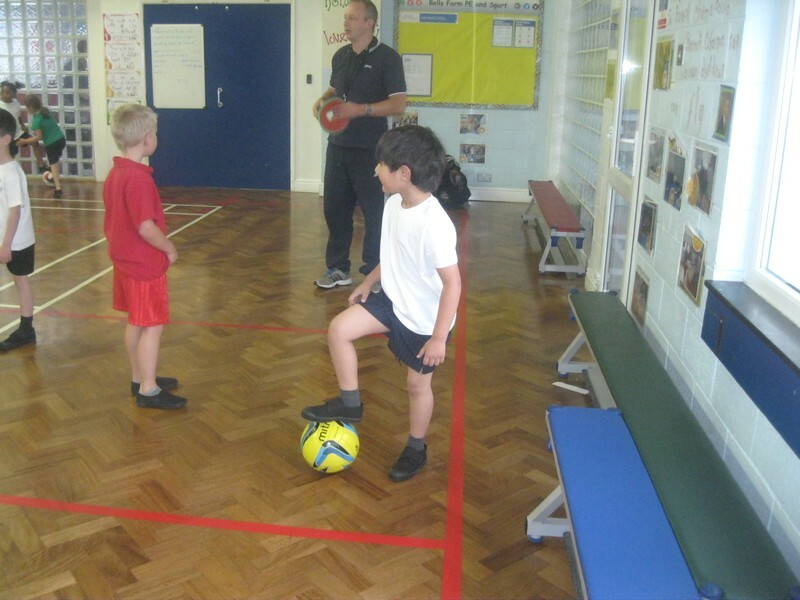 On red we had to stop and control the ball with our foot. 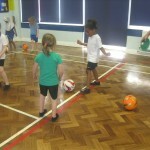 On yellow we had to pass our ball to our partners carefully and keeping control. On green we had to jog with our ball using two feet to keep control of the ball. 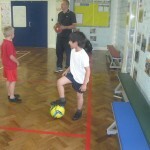 We really enjoyed todays lesson and we are looking forward to the next lesson. 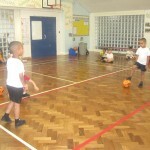 I saw some amazing footwork on my way through the hall today. Well done. 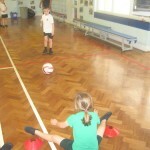 you look like you had so much fun in PE.